We help students achieve French language fluency and advanced intercultural skills to prepare for leadership and success in the global workplace. We believe that immersion combined with a balance of challenge and support is key to effective learning and personal growth. A history of excellence in French language and culture education. The JYF program offers an advanced and immersive learning experience in Paris for qualified students from American colleges and universities. Through direct enrollment in Paris universities and access to courses in almost any major, JYF students benefit from a high quality academic program to suit their academic and language goals. Integration in French family life, internships, supportive advising and guided reflection help to deepen cultural immersion and language practice and allow for exploration of all facets of French life and culture. Our affordable program fee and generous scholarships make it possible for any qualified student to experience “la vie à la parisienne” for a semester or academic year. Administered by Sweet Briar College since 1948. 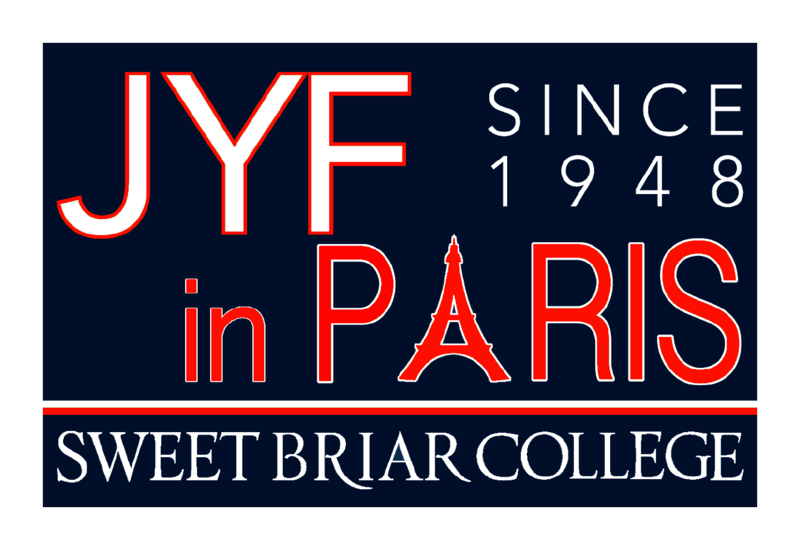 Help Support JYF in Paris - Donate Today!